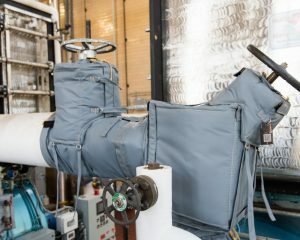 Sometimes traditional stay-in-place pipe insulation is not as ideal an insulation solution for steam pipes as Thermaxx removable steam pipe insulation covers. In steam systems, the state of the insulation of pipes carrying the steam has an enormous impact on a facility’s energy bill. Understanding the cost and rate of heat loss from un-insulated or under-insulated steam pipes are the first steps in recovering these costs. The next step is weighing your insulation options. In some circumstances, traditional stay-in-place insulation will not be ideal. One such situation is when the need for inspecting steam pipe surfaces is very high. Very frequently, when pipe inspection occurs, “plugs” are cut into hard insulation to provide access to the pipe surface. These insulation gaps also allow valuable heat to escape. More often than not, these plugs are never replaced, but even when they are, the full integrity of the insulation is compromised. Compromised steam pipe insulation allows moisture to get in and can actually increase the risk for corrosion under insulation (CUI) by trapping moisture inside. In addition, hard insulation can make inspection more time-intensive, difficult, and expensive — often forming a deterrent to conducting pipe inspections with optimal frequency. It is in often environments where corrosion is a very high threat that frequent inspection is needed. For example, the piping in expensive off-shore oil platforms and water treatment facilities must combat both high moisture and chloride, a perfect storm for corrosion. When the risk for corrosion and the cost of corrosion-induced equipment failure is high, removable steam pipe insulation is an option you should consider. The Right Fit: Stay-in-place insulation makes inspection more time-intensive, difficult, and costly. We offer standard pipe jackets from 2-inch through 24-inch nominal pipe size (NPS). 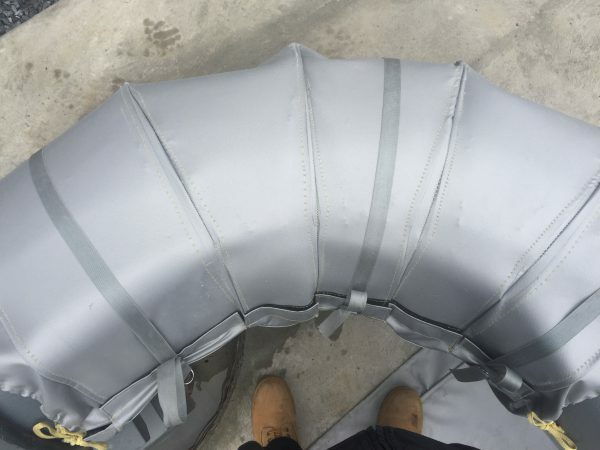 In addition, we also can create custom insulation covers for larger pipes, sharp angles and bends, or other non-standard piping. We also offer high-temperature insulation for higher temperature applications. 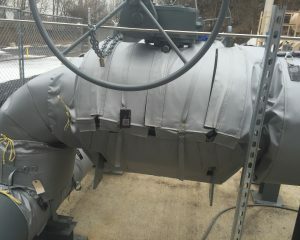 Convenient: Thermaxx steam pipe insulation jackets offer the ultimate level of convenience. No special skills are needed to install, remove, and replace the jackets, allowing any maintenance personnel to get in and out with minimal fuss. 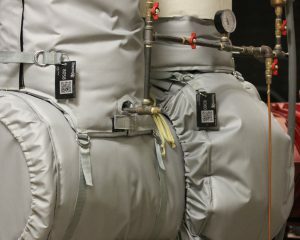 Cost effective: Regardless of the specific type of jacket, you can always depend on a Thermaxx pipe insulation jacket to do its job, even in the harshest environments. 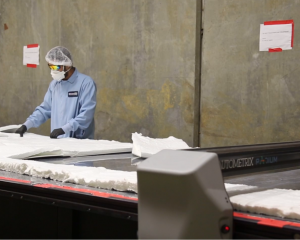 What’s more is that Thermaxx guarantees that we can make exactly what you need the first time around so that you’re getting your money’s worth. High Quality: We back our jackets with an industry-leading 5-year warranty to prove we mean what we say. 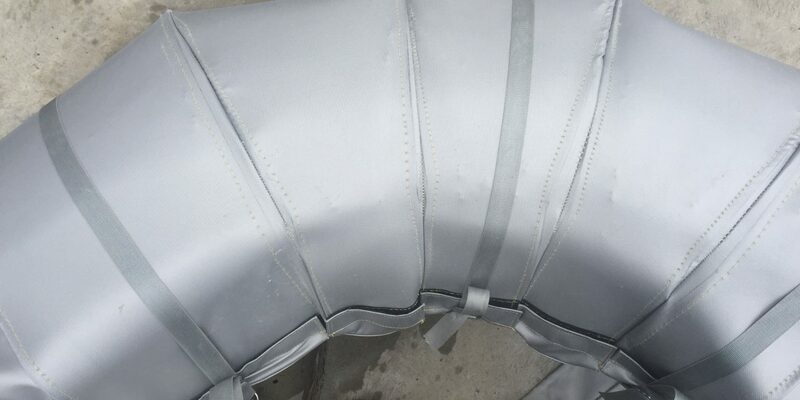 Fend off CUI: Our steam pipe jackets help ensure moisture does not plague pipe surfaces. For extremely high-moisture environments, we offer hydrophobic insulation as well. Got Questions? Interested in learning if and how Thermaxx steam pipe insulation covers can help your facility? Give us a call, e-mail us or fill out the form below. We’re more than happy to answer any questions you may have.